Published by Scala Arts and Heritage to accompany a Media Space exhibition at the Science Museum in London this stunning catalogue examines how Talbot’s invention of photography evolved to establish its artistic, scientific and industrial possibilities. Also explored are the relationships within the network of photographers who gravitated towards Talbot’s process, each of whom took photography into different territories. Featuring 100 high-quality reproductions of Talbot’s work, Dawn of the Photograph is a testament to his magical and industrial visions, as well as his ambitions for photography as a means of mass production. The exhibition runs until 11/09/2016 at the Science Museum in London. 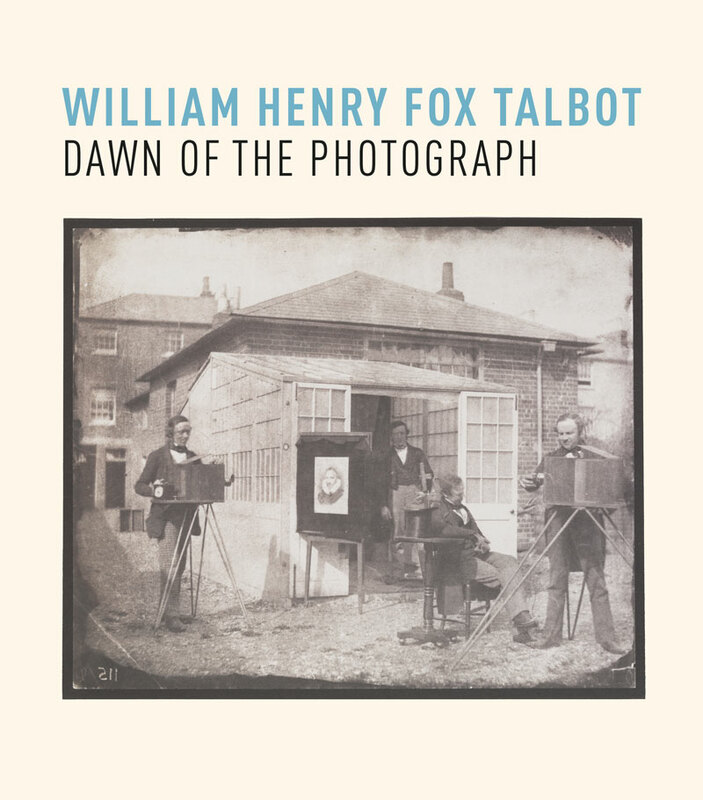 William Henry Fox Talbot: Dawn of the Photograph, a catalogue accompanying an exhibition of the same name, contains two essays; ‘A Wonderful Illustration of Modern Necromancy, W. H. F. Talbot’s Promise of Photography’ by Russell Roberts; and ‘W. H. F. Talbot and the Business of Photography’ by Greg Hobson, along with over 100 plates of early photographic images. The size and format of the book would lend itself nicely to find a home on any coffee table. With its plentiful illustrations, it is enjoyable enough to flick through if only to admire some of the world’s first photographs. The two essays work well to take the reader beyond the imagery to a better understanding of the challenges Talbot faced in first capturing a photographic image and then the troublesome commercial ventures which plagued all early calotypists. Talbot was highly knowledgeable in numerous subjects, many of which lead quite nicely to his work in photography. He had lofty ambitions for photography, which were carefully and logically outlined in The Pencil of Nature. Photography was about to change the world and Talbot knew it’s potential. Roberts’ text works well to outline the importance of photography (and photographic collections) beyond a new Victorian art form, not only for its possibilities, but also for the efforts involved to bring it into being, “a perfect example of 19th-century modernity as well as a medium that appeared mysterious, alchemical”. Roberts’ essay brings to the fore the social, scientific and museological importance of photographic collections today, and perhaps some readers will gain a better appreciation for these public archives. Hobson completes the story started by Roberts, with the insightful account of this growing, yet troubled industry. The battles over Talbot’s patents are well known for most photo-historians, but Hobson chose to tell this story by unfolding the efforts of Antoine Claudet, Henry Collen, Nicolaas Henneman, Calvert Jones, and George Bridges, to make the process commercially viable. Hobson leaves a brief legal discussion of the patent battles to the end of his essay. Using the stories of these well-known figures to breathe some life into an often overlooked and possibly mundane aspect to the story works well to grasp the bigger picture. Without being bogged down by the economic components of the argument, the reader is able to better appreciate the trials of the early practitioners. The essays may leave the reader with a feeling that Talbot’s calotype was, in many respects a failure. Although the arguments as laid out by Roberts and Hobson leading to this conclusion are convincing, it may be an uneasy sentiment for some. We must consider that 177 years on we still have such fine examples sitting in collections around the globe, many of which illustrate this book. The comparison to the daguerreotype will always haunt the calotype, and in part this is a fair comparison. The daguerreotype is a stunning jewel to hold, a phenomenon that can be appreciated for its impressive beauty and stability lasting the centuries, but there is no lineage following this process. The calotype by contrast may not have been as pretty or as perfect, but it was the start of something that indeed changed the world and how we saw it. Talbot’s promise of photography started an evolution of the positive-negative image that met and exceeded his loftiest ambitions laid out in The Pencil of Nature. The irony is that photography was so successful that we no longer think of it as being the miraculous trick of alchemy that it was in 1839.